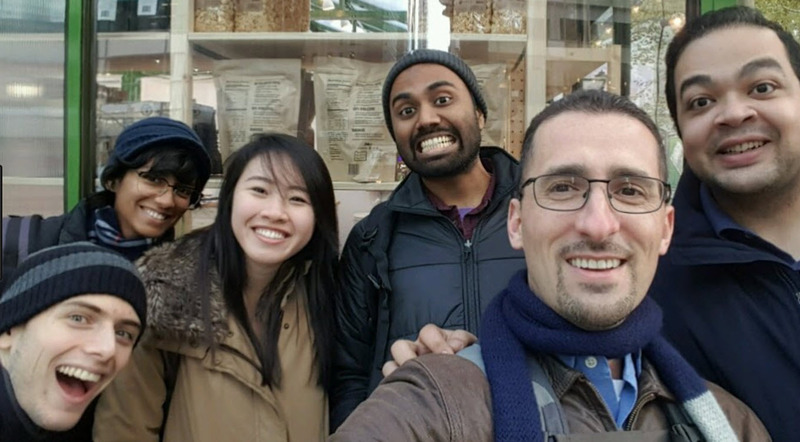 Earlier this year I was invited to attend the inaugural Microsoft Accelerator Founders’ Summit, the brainchild of Toni Hasson, Global Alumni Program Manager for Microsoft Accelerator and Philipp Limburg, Berlin’s local alumni manager. I ran a workshop with 40 founders from London, Paris, Bangalore, Berlin, and Seattle on the importance of culture in a high growth company. Mohamed AlTantawy the co-founder and CTO of Agolo was one of the attendees and he wrote this medium post on the experience and outcome. Only hire people who are smarter than us.There is no place on our team for a-holes. My friend, Peter Phelan, a culture consultant for NYC startups, used to tell me that “if you don’t write down your cultural values down, they simply don’t exist,” but I always had a good excuse for putting it off. We were either too busy raising money, or closing clients, or hiring new employees to worry about that stuff. It wasn’t until I spoke to a friend who was interviewing at a top-tier tech company, that I realized defining our company’s values needed my full attention. And it’s not for the reasons you might suspect. It was a gorgeous Fall morning, and we met for coffee while she was finishing up her prep to defend her PhD thesis. Our conversation naturally led to the different companies she was interviewing to work for once she graduated, and she complained to me that one hiring manager began her interview by assuring her that his team was very different from the rest of the company… because it didn’t share the same reputation for a negative corporate culture! I was shocked. What went wrong? How does a founder manage to build billion-dollar businesses and neglect their company’s culture along the way?If a huge company has difficulty maintaining a positive culture, how can a startup like our’s, with limited resources, ever hope to prevent this from happening? I knew that if we weren’t proactive about addressing this in our own company, a serious crash was inevitable. The real problem, however, was that we just didn’t know how to start. And then we met Brett Putter. Putter delivered an uniquely relevant presentation at Microsoft Accelerator’s first ever Founders’ Summit in the UK, among a wide-range of incredible talks, roundtables, and workshops, during the two-day bootcamp for their startup founders. We got crash courses in sales, fundraising, and team building, and even learned about dealmaking from Richard Mullender, a seasoned hostage negotiator (for real!). But it was Brett’s workshop about startup culture that changed the way we think about the culture of our company. Choose ten values that best represent who you are now. We were given values like “generosity,” “control,” and “excellence,” just to name a few.Choose ten values (out of 80) that best represent how your company currently operates. This time, the set of values we could choose were different. There were positive values, like “leadership development,” and “innovation,” but there were also negative values, like “blame” and “information hoarding.”Lastly, choose ten values that your company aspires to have in the coming 12-months. It was fascinating to see which of our personal values overlapped with our company’s values, and it was encouraging to learn that we could work to replace our negative values with positive ones. Most importantly, I realized that we knew what our values were all along, we just needed a bit of help expressing them. As soon as the workshop ended, I ran to my co-founder and we started comparing notes. It soon became clear that we’d have to bring this exercise to our team. After all, we knew that we hired “good” people, and they would ultimately be the ones to carry the culture of the company. We booked a conference room, closed our computers and phones, and repeated the exercise with the entire team. We told them to keep the first column for their own personal references. Then we collected the second and third columns anonymously. True to our mission to process data better than anybody else in the world, we collected the values that our team chose and began to figure out what it all meant. We attributed a score to values that were chosen more than once, for both current and aspirational values, and a pattern began to emerge about how our team perceived our company. Continuous learning and leadership development are essential to thriving in a fast-changing world. 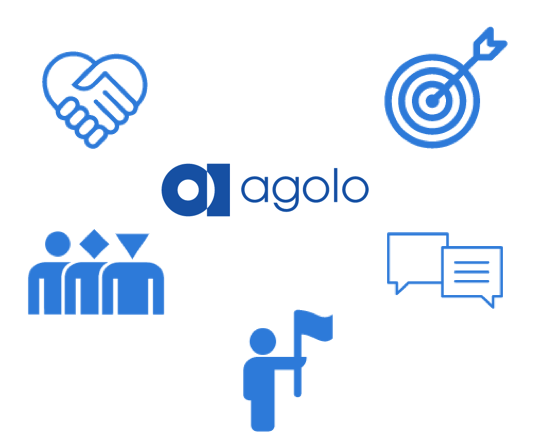 We share the responsibility that everyone at Agolo is engaged and living up to their fullest potential. In a startup like ours, it is too early to hire a chief people officer. Small things like this exercise, however, can take us a long way and help us build a great team and company. 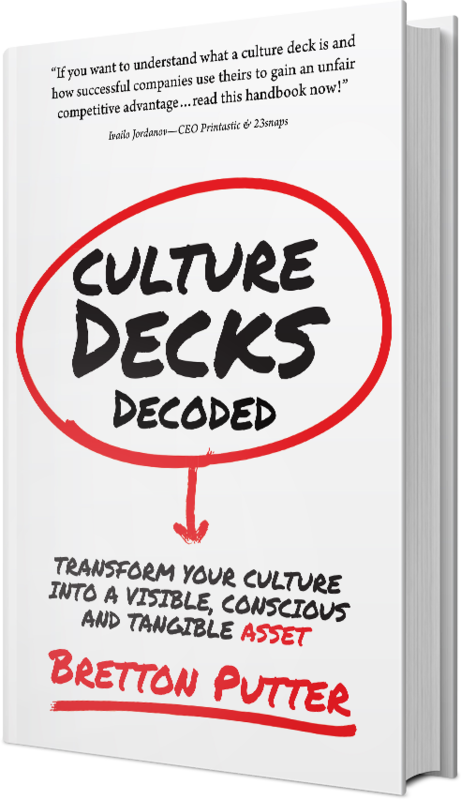 I highly recommend this exercise to every founder, manager, and team lead, and ask you to please let us know how your own cultures developed, by leaving a comment below! We are so proud of how this difficult exercise exposed who we really are, and who we aspire to be. We invite everybody to take a look at what our company believes, here. Mohamed AlTantawy's original Medium post is here.